This is an excellent summer salad. I planned on making it as a pre-race dinner weeks ago. I’ll take it with me tomorrow afternoon when I drive to Winona for the Trinona triathlon. It would be cool and refreshing and hold up well over the next few days. If only it actually felt like summer. It’s going to be in the low 60s with an 80% chance of rain. I’ve made it a few times. It’s very forgiving and I haven’t made it the same way twice. I found the recipe on Eggs On Sunday a few years back while killing time on Taste Spotting. 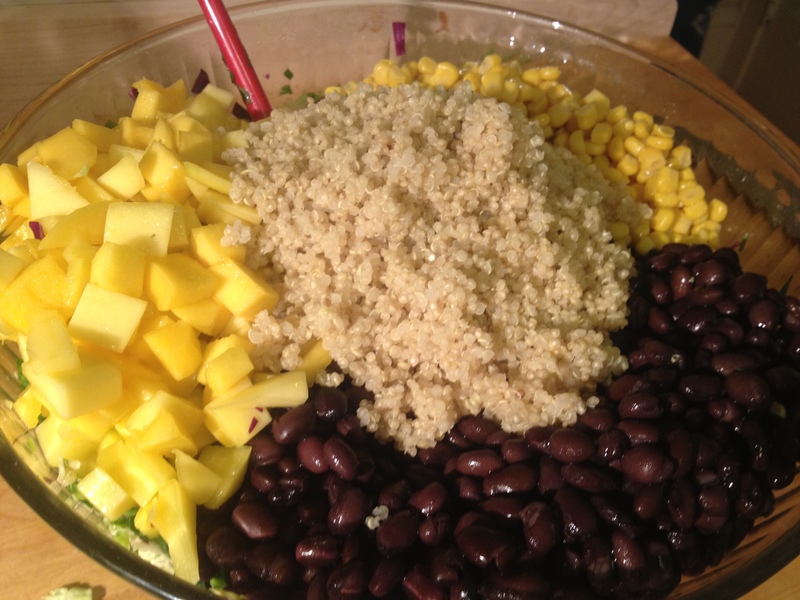 I started by cooking 1 cup of quinoa in 1.75 cups of water and a dash of salt. I lie, I started by doing dishes and cleaning the counter, but that’s beside the point. I combined: the zest and juice of two limes, 2T olive oil, 2T white wine (because I keep a box of white wine in the fridge just for these sorts of things). 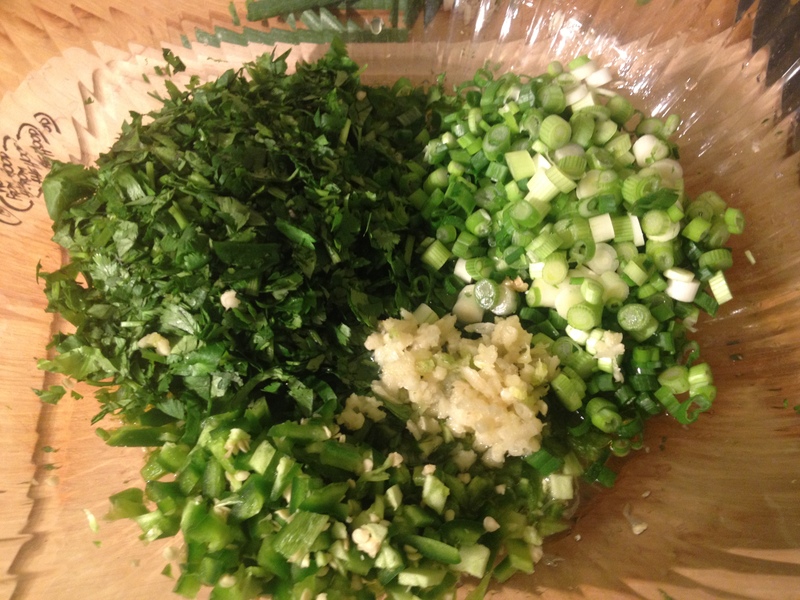 Then I chopped and added a whole bunch of green onions (6 of them? ), 2 jalapeños (seeds in because I like the heat), a whole bunch of cilantro stems and all, and 4 cloves of crushed garlic. I ground up some black pepper on top and stirred it up. 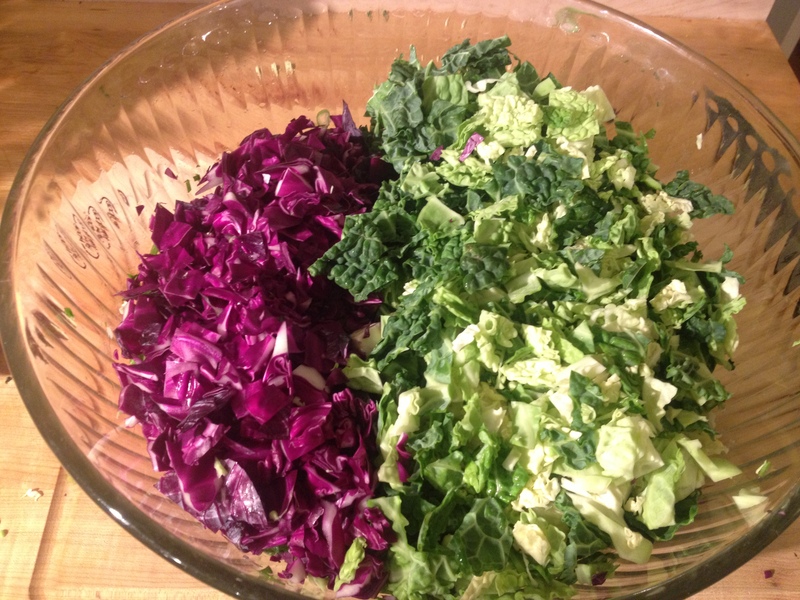 I’ve used a variety of cabbages in different quantities and ratios. This time I used about 1/2 head of savoy cabbage and 1/2 head of red. It was a tiny red cabbage head. I think I should have used more. I added the drained and rinsed can of corn and 2 cans of black beans. Diced mango and cooked quinoa. I really wished I had some chopped up peppadews. The bright red is lovely but I also like their tangy sweetness and their brine. I stirred it all up and let it sit. 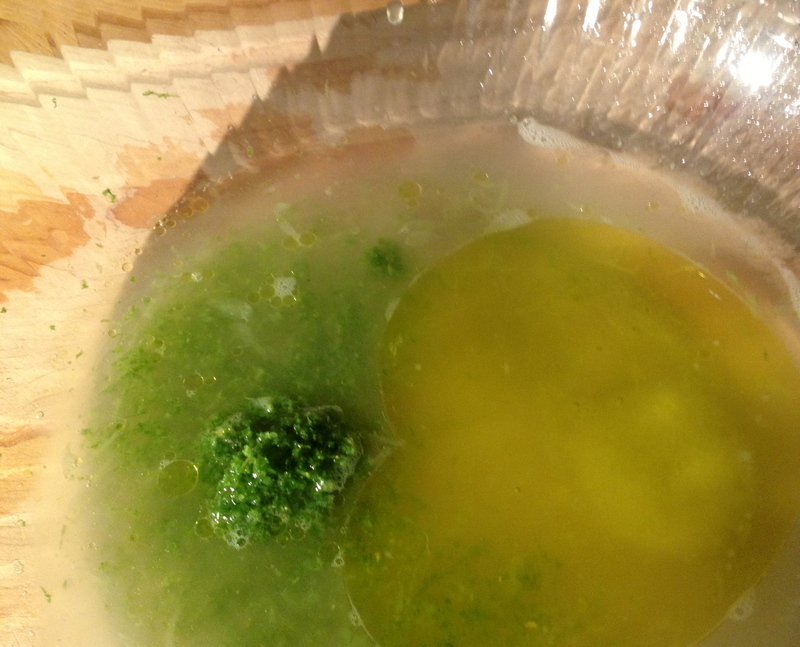 Tasted it, and I added a liberal drizzle of olive oil, a healthy pinch of salt and another splash of wine. It’s super healthy and hopefully my digestive system will agree with it tomorrow and fuel me for the race on Sunday. 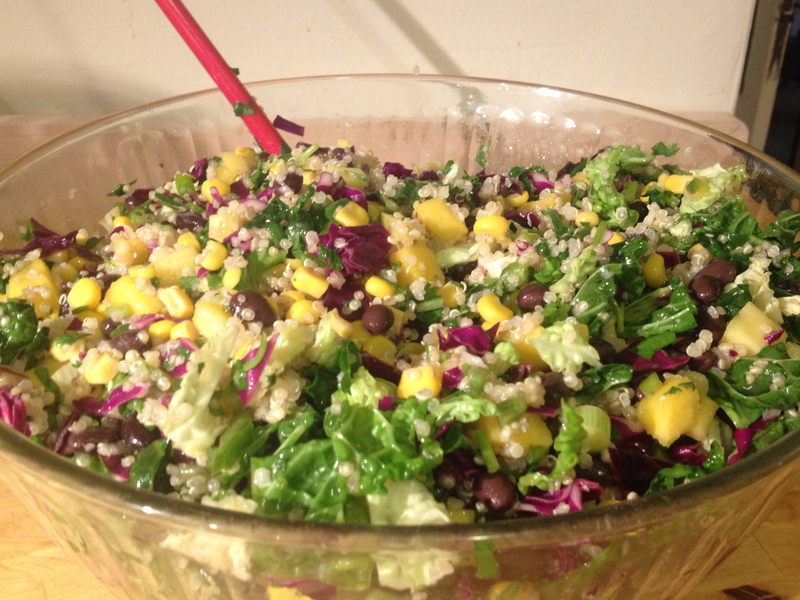 I hope you find a little summer salad inspiration. The original used jicama and no corn. What changes would you make to this salad? 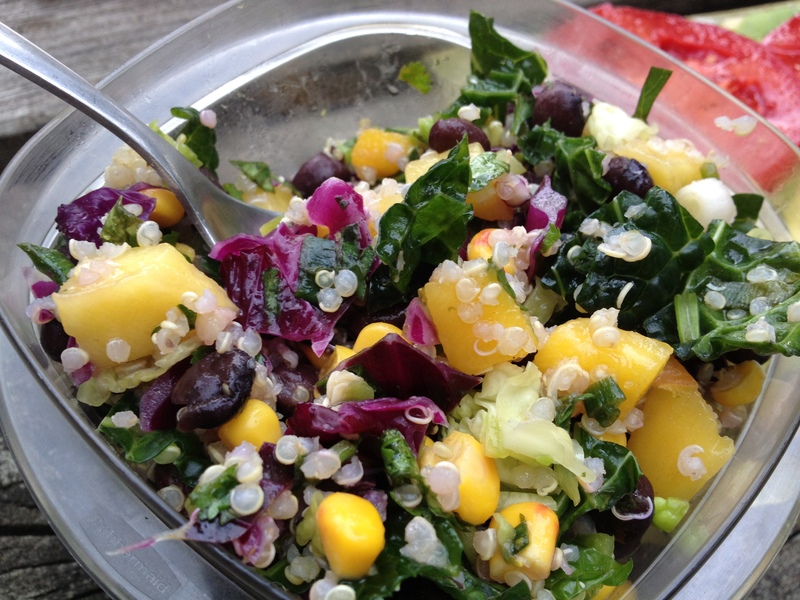 This entry was posted in Kym Cooked and tagged food, healthy food, salad, triathlon, vegan. Bookmark the permalink.